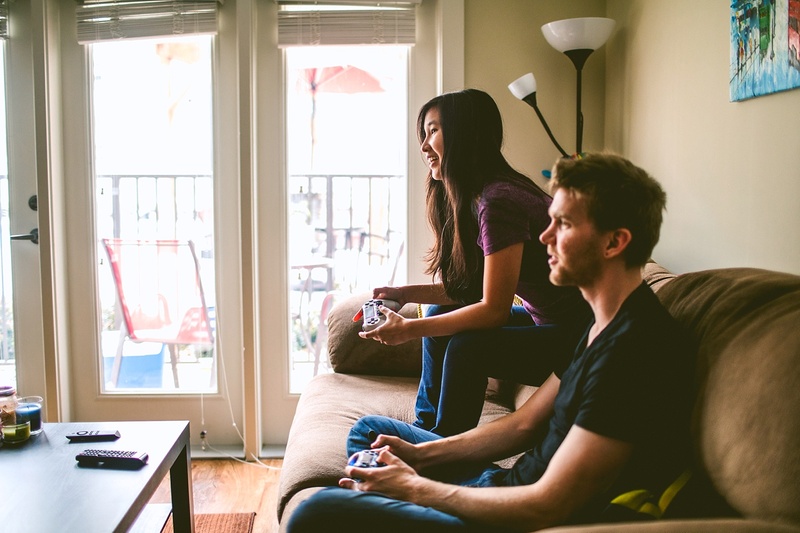 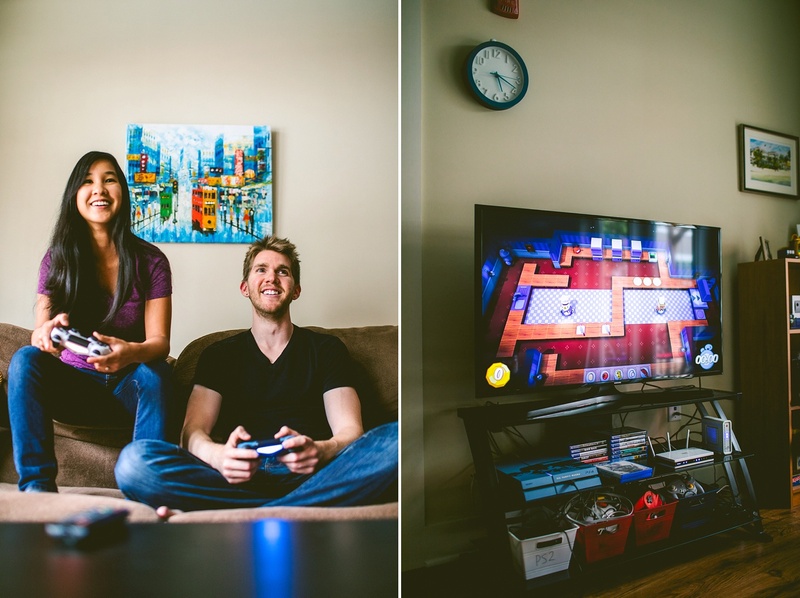 Margaret and Bryan are two pretty awesome people who live in Winston-Salem happily playing video games and discussing pugs. 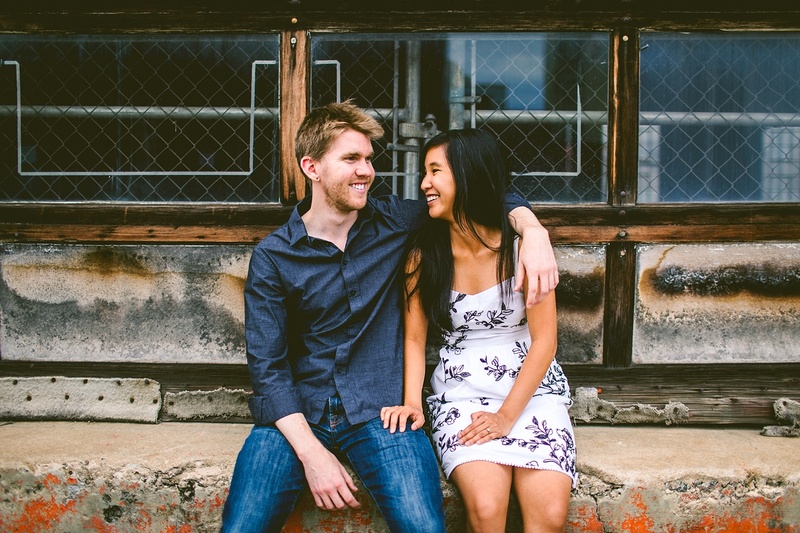 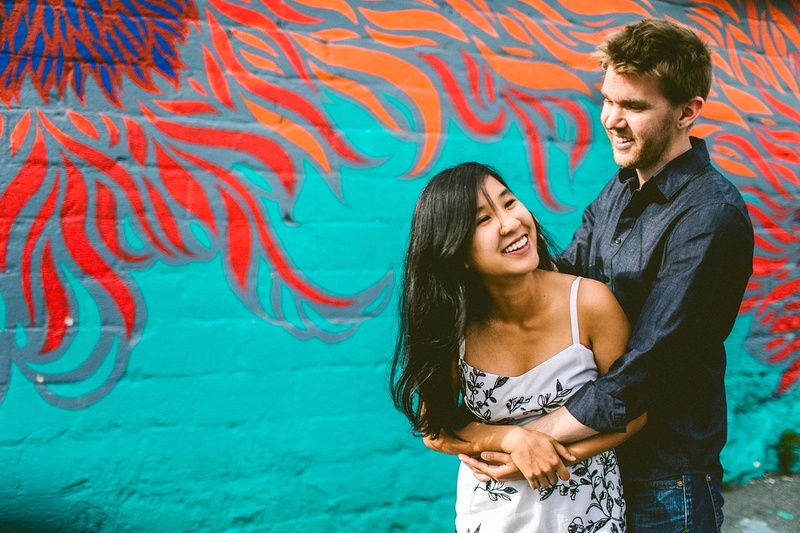 They met online when they were living in San Diego, and then they moved to New York. 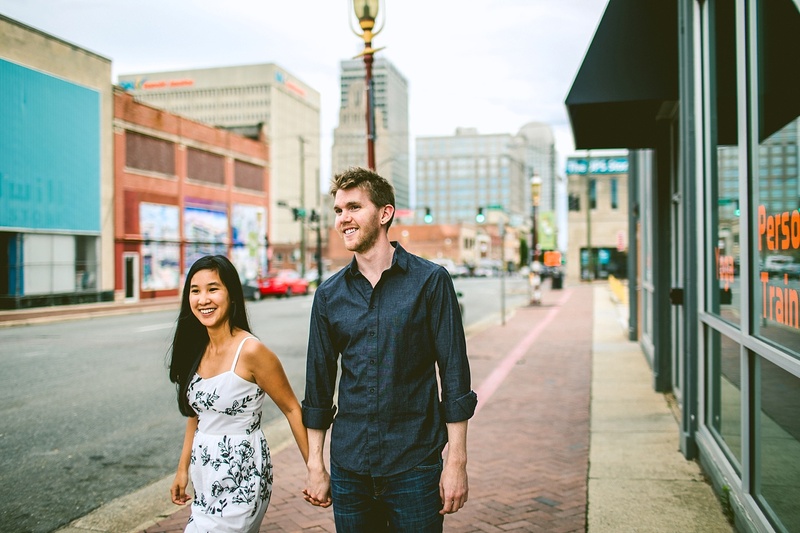 All of these places had bubble tea. 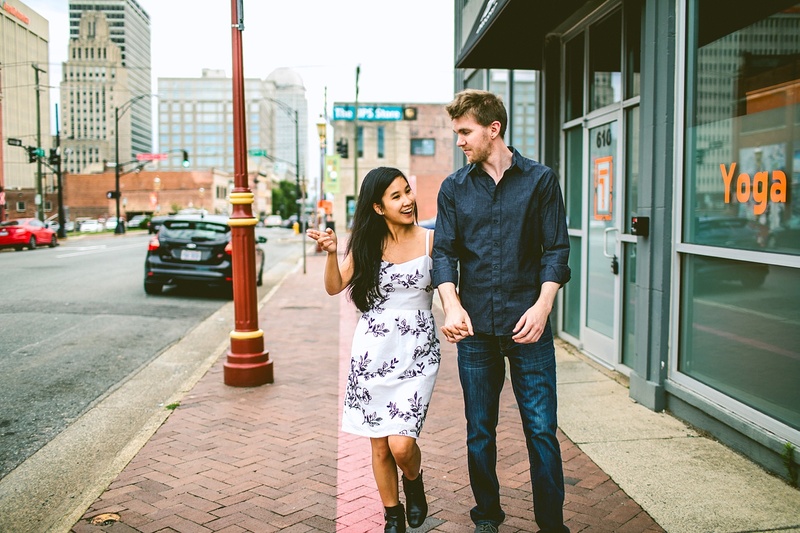 Now they live in North Carolina and are struggling to find bubble tea, but we’re confident that someday they will (maybe? 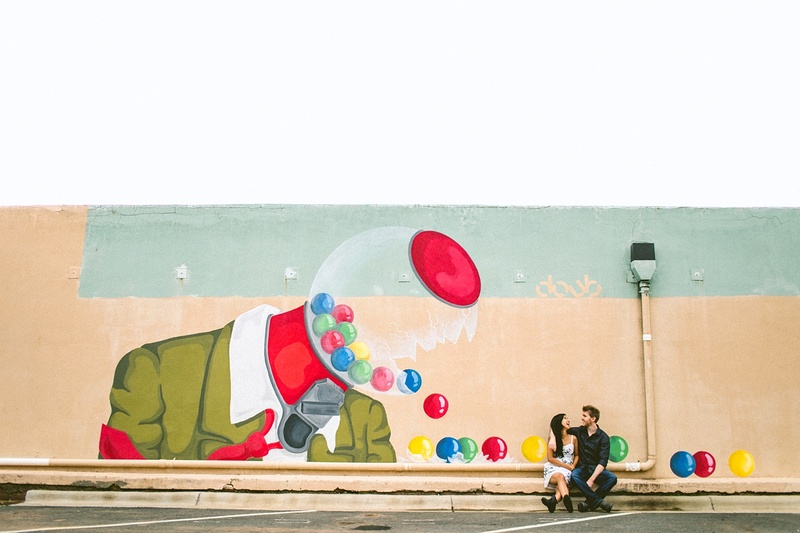 I don’t know, I’m not even sure what bubble tea is). 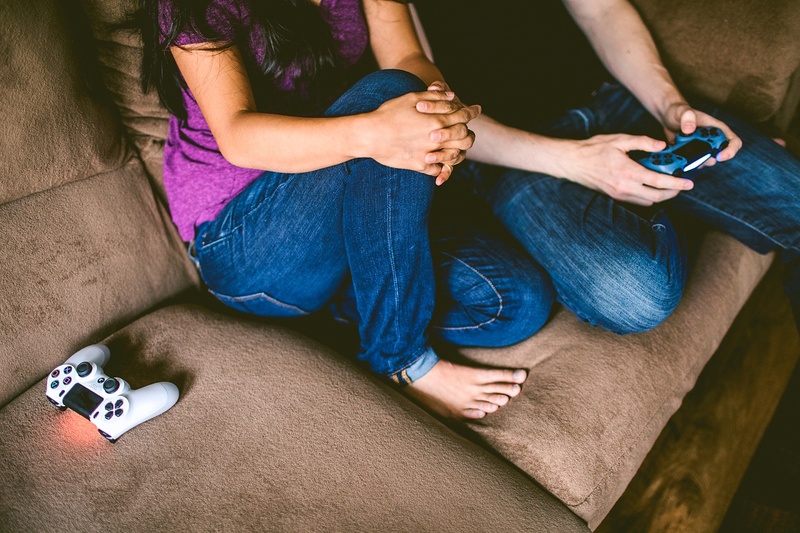 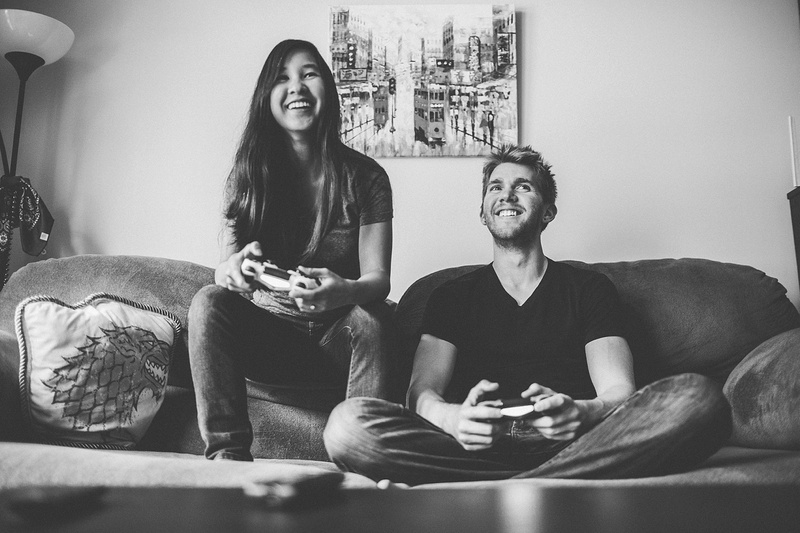 They enjoy all types of video games, but together like playing Overcooked. 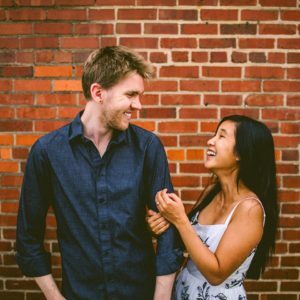 When we asked them what it was about, Margaret responded with, “You’re a bunch of adorable characters working in a restaurant to fill orders really fast, but the restaurant is also haunted.” And that pretty much sums it up. 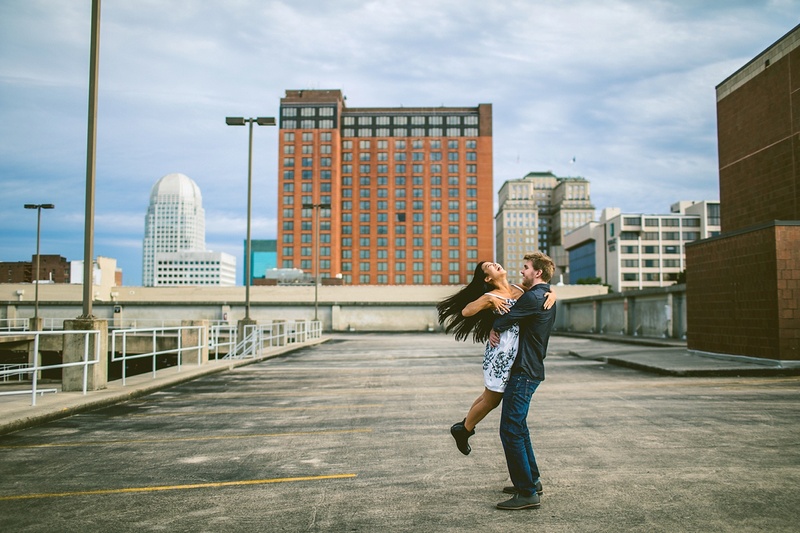 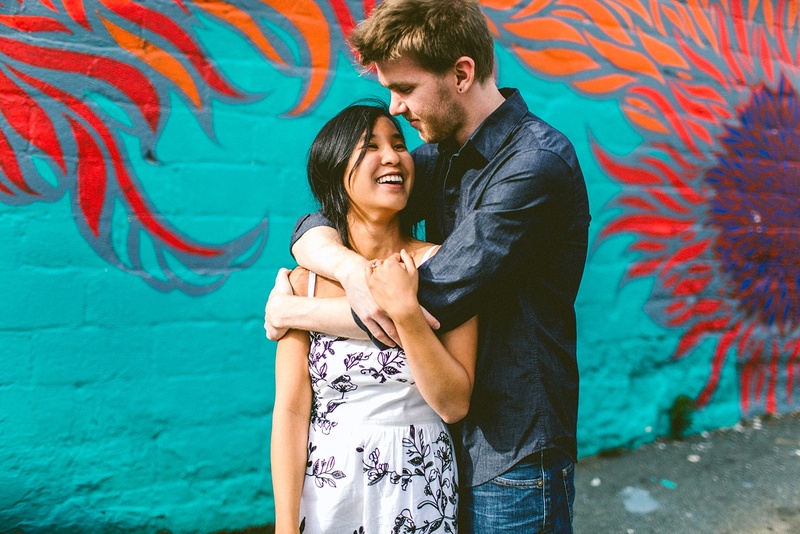 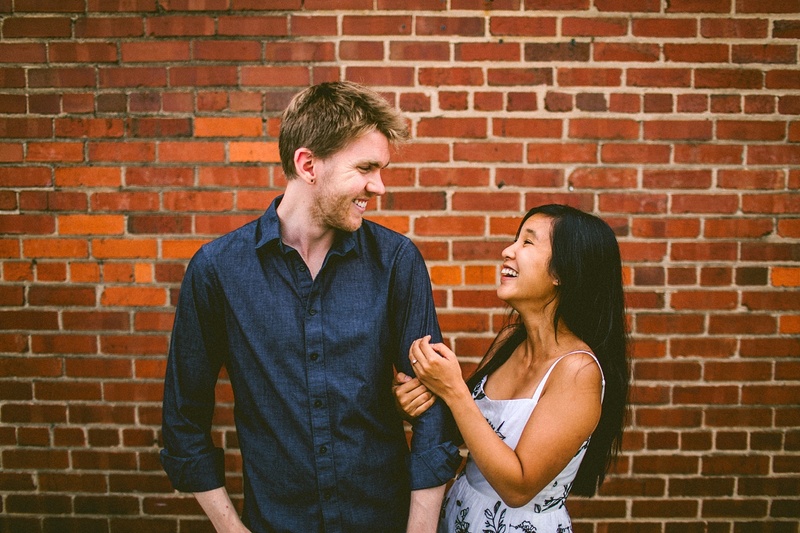 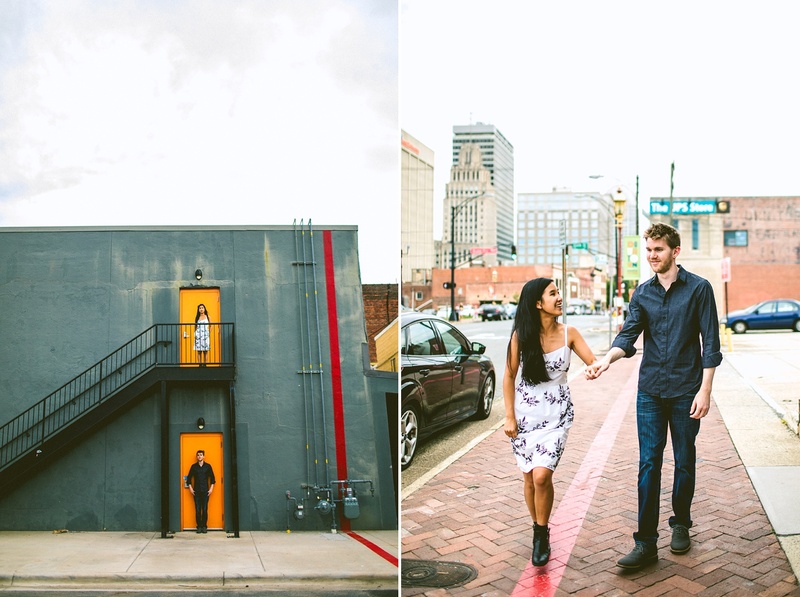 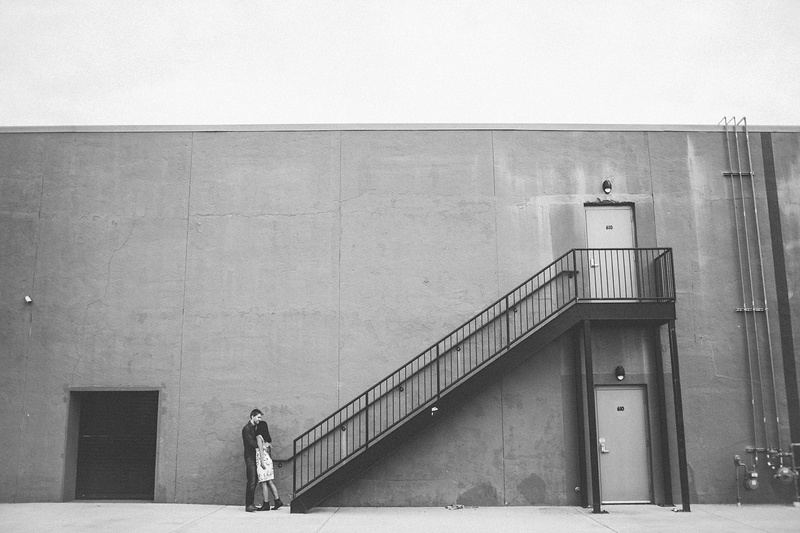 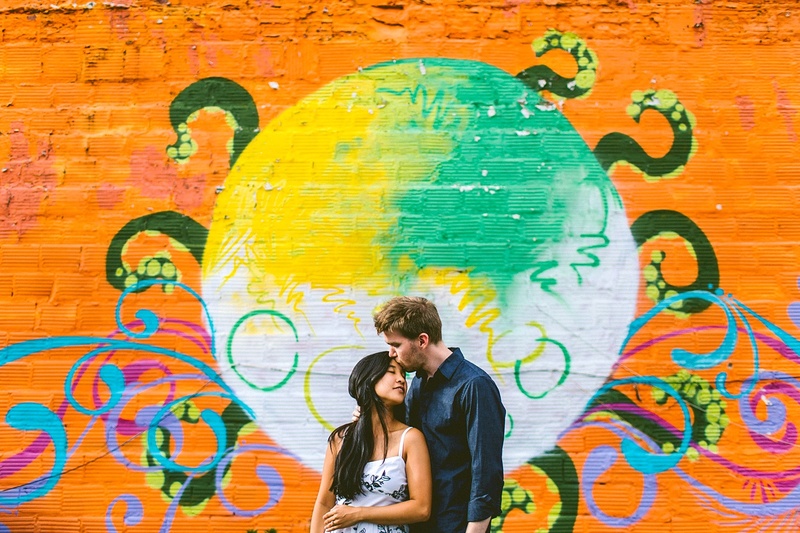 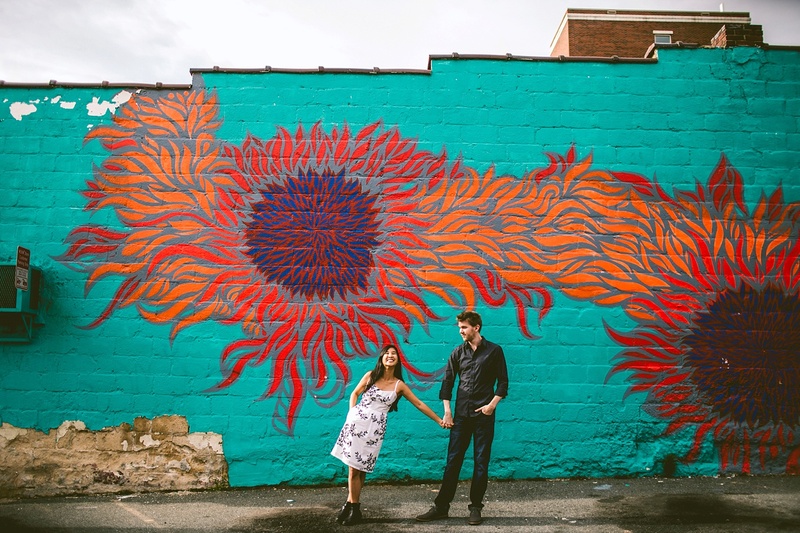 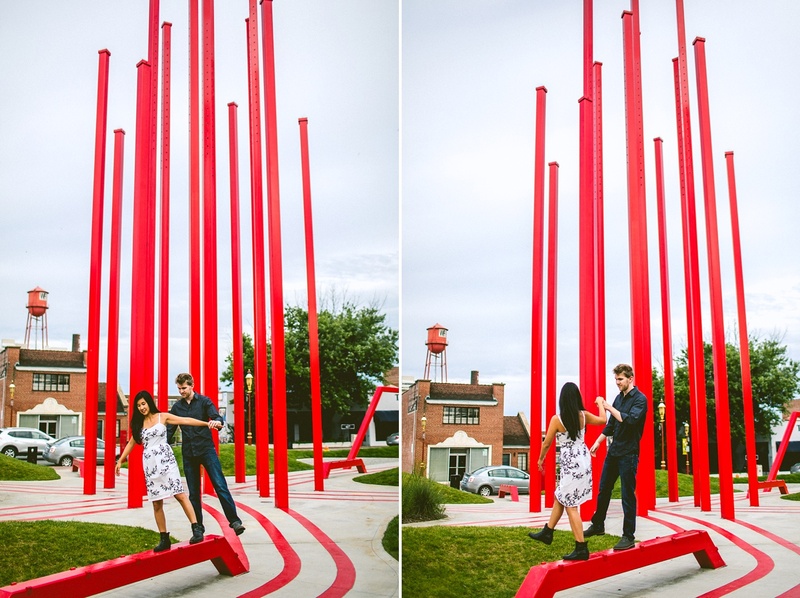 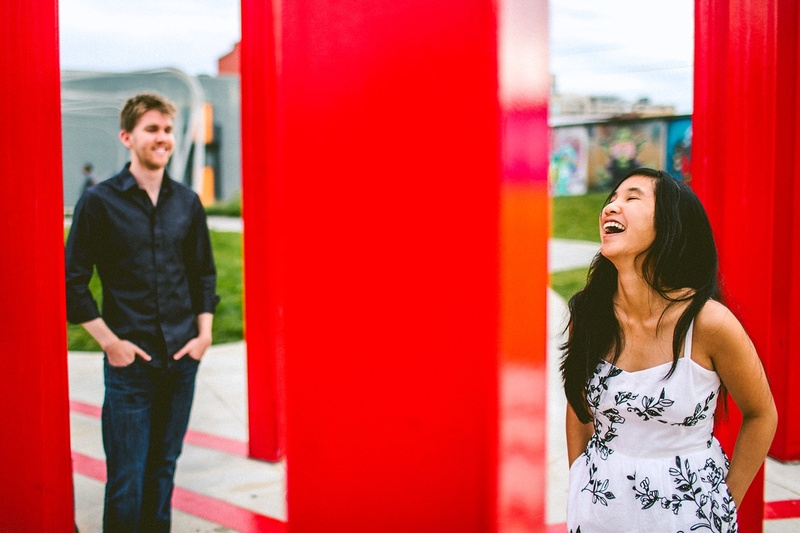 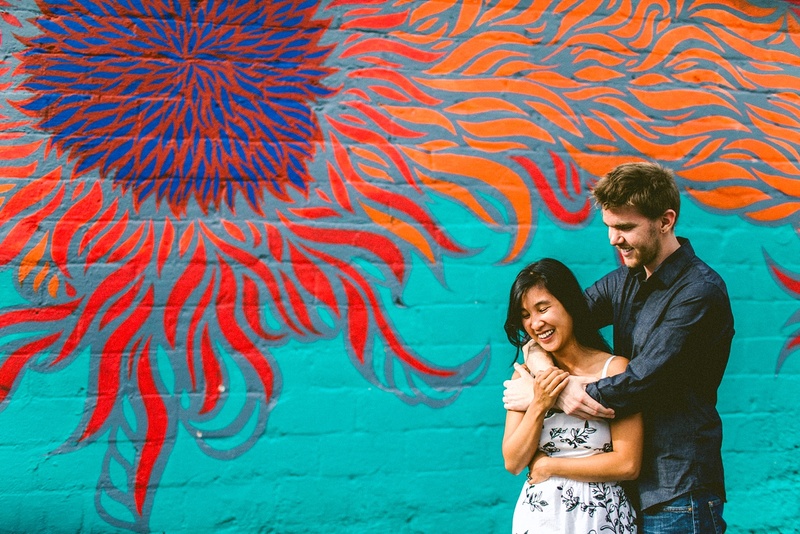 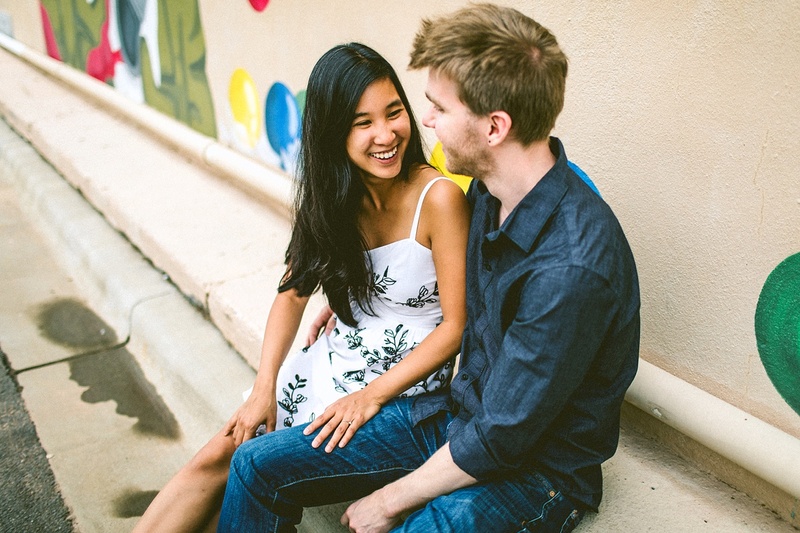 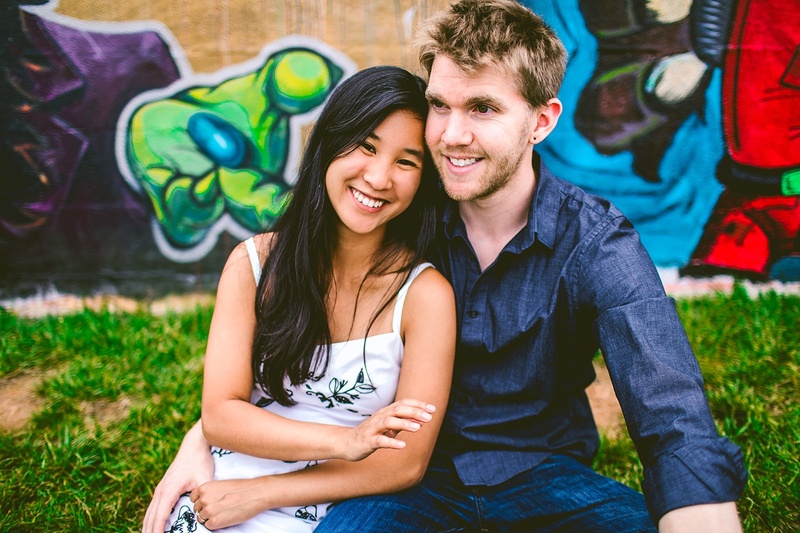 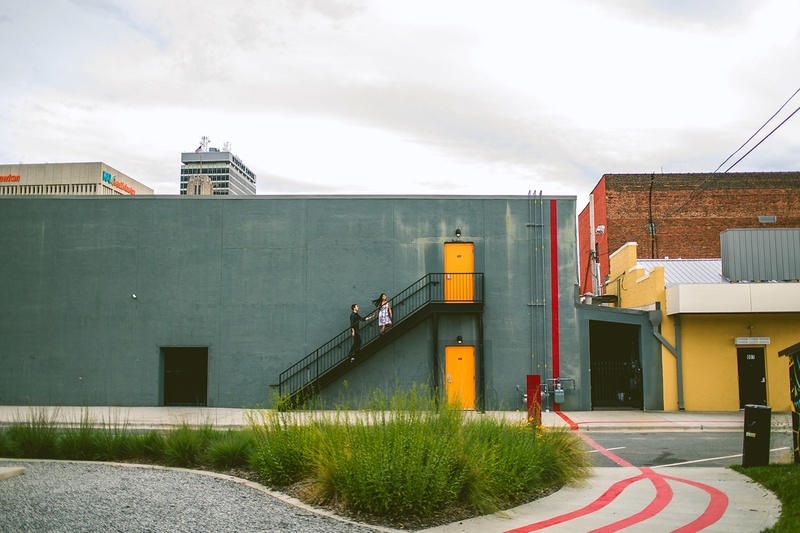 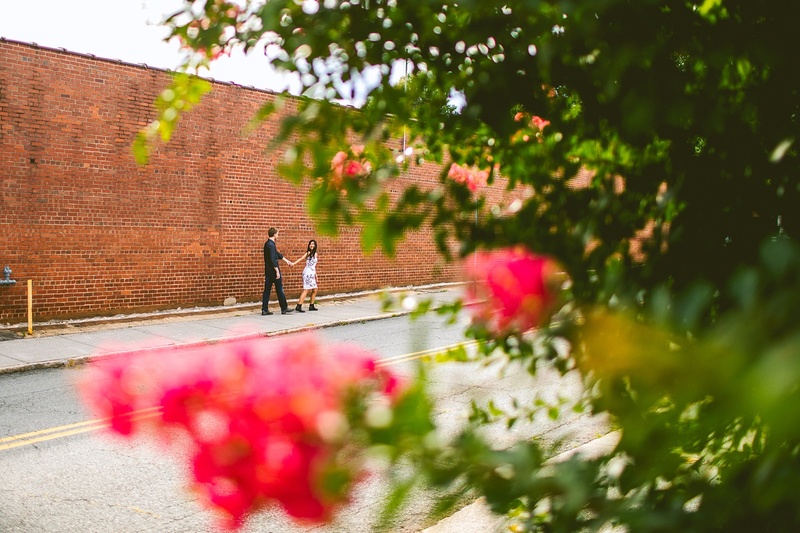 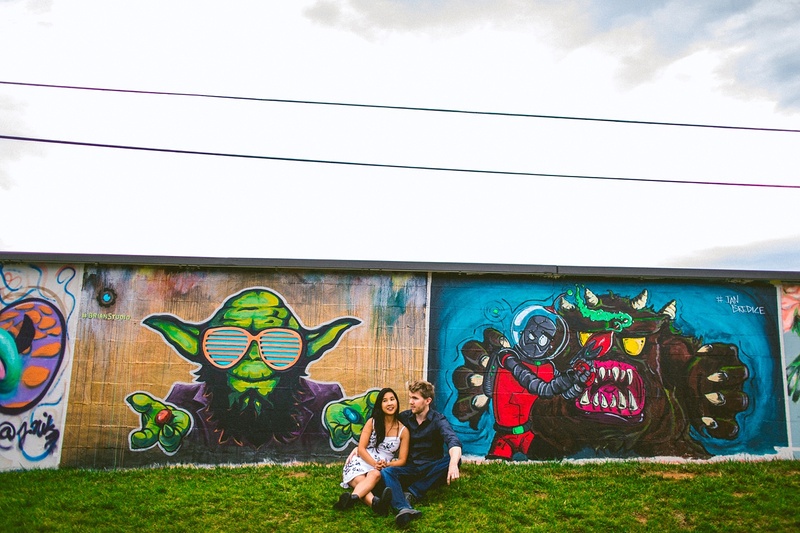 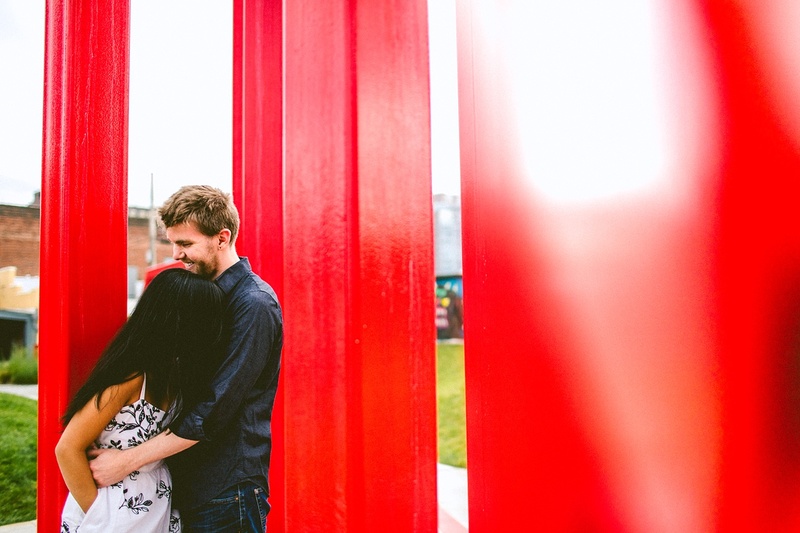 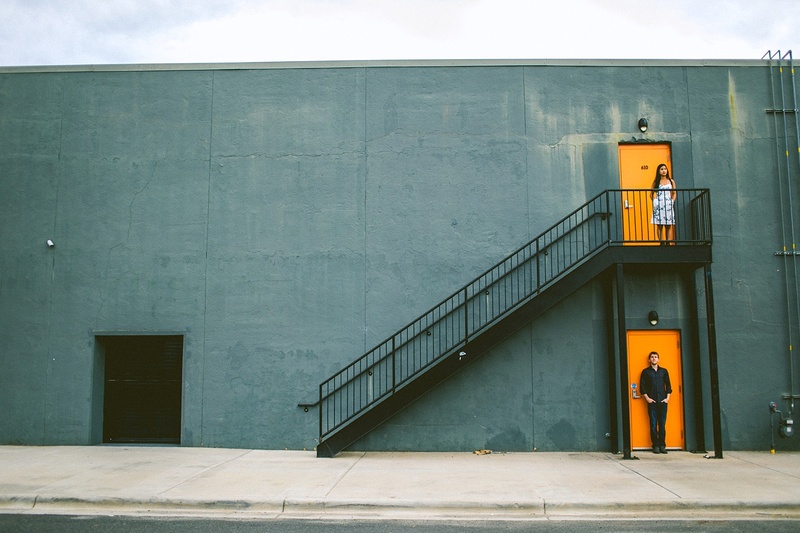 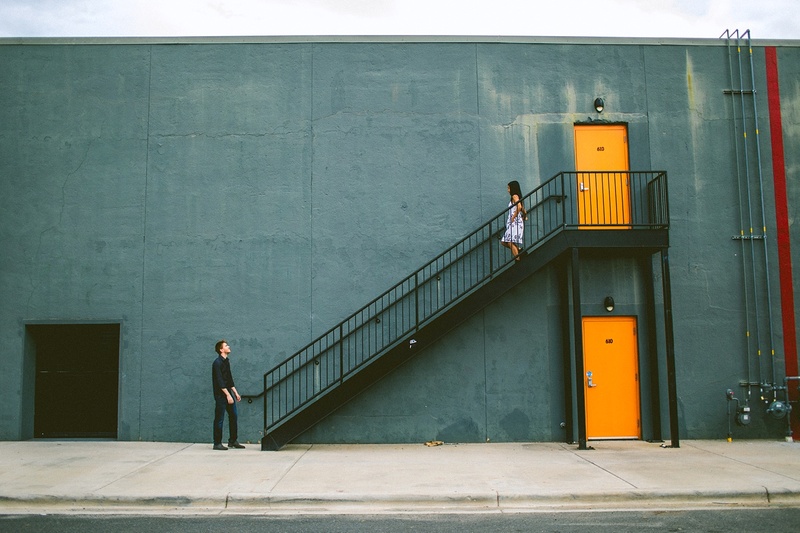 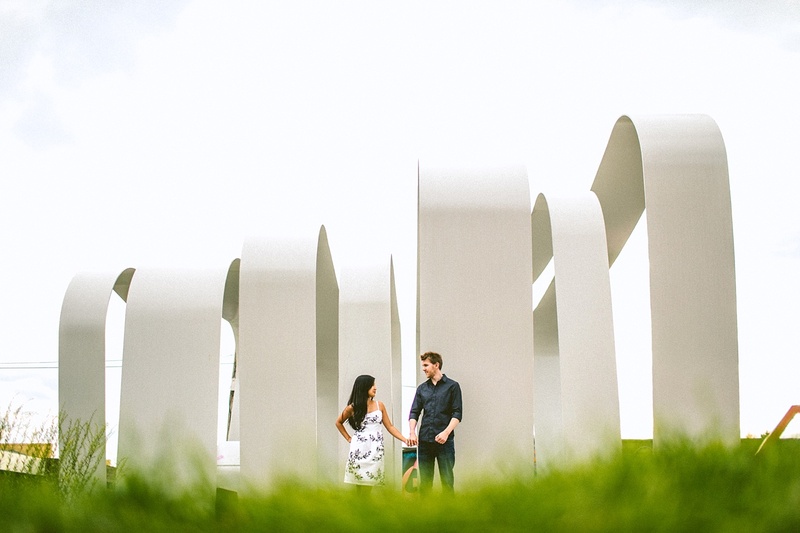 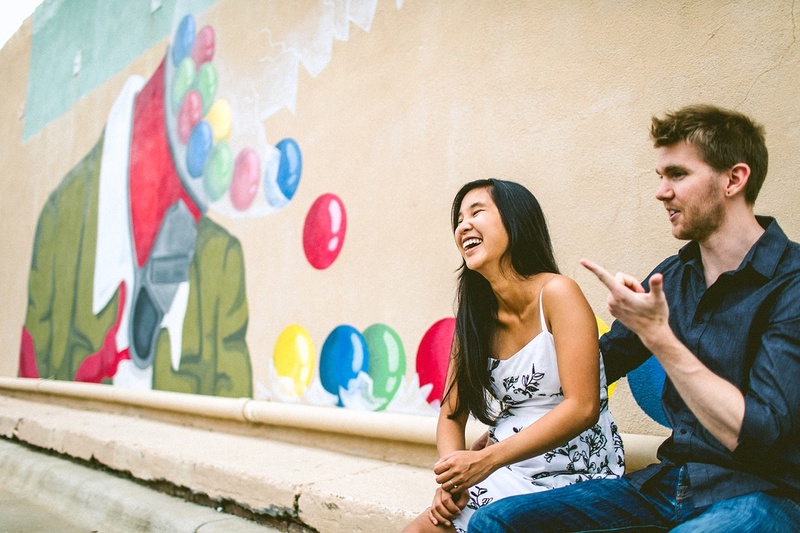 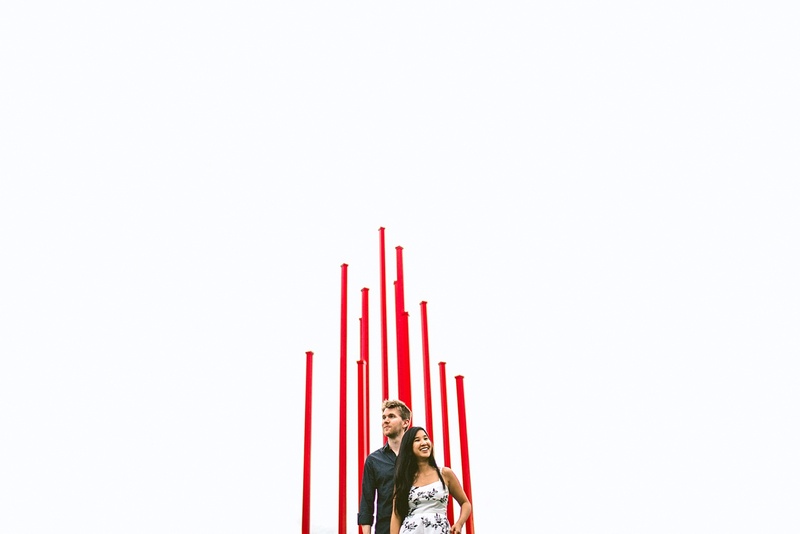 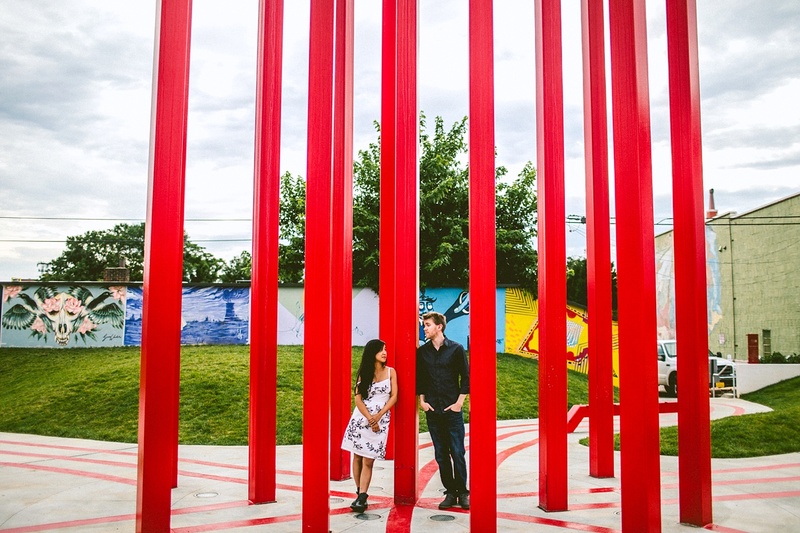 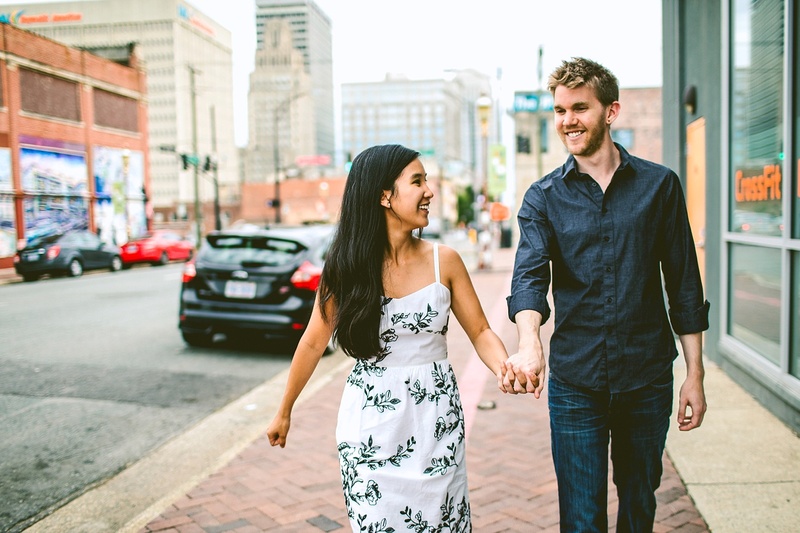 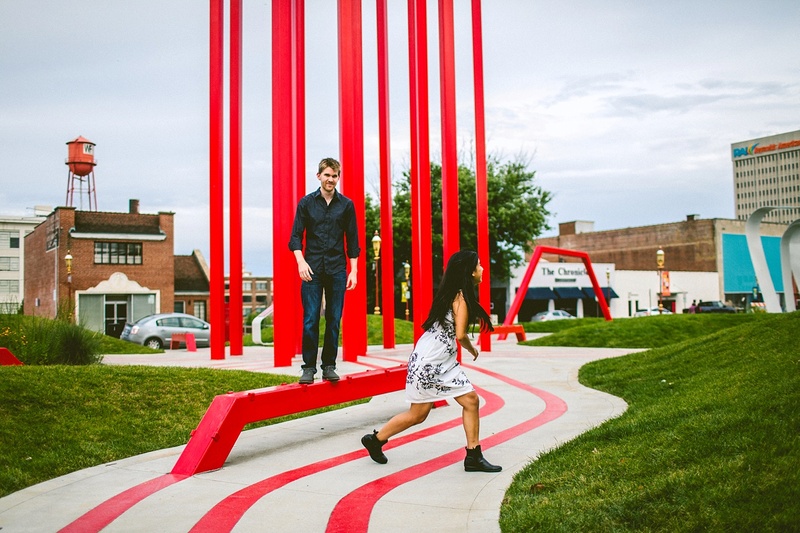 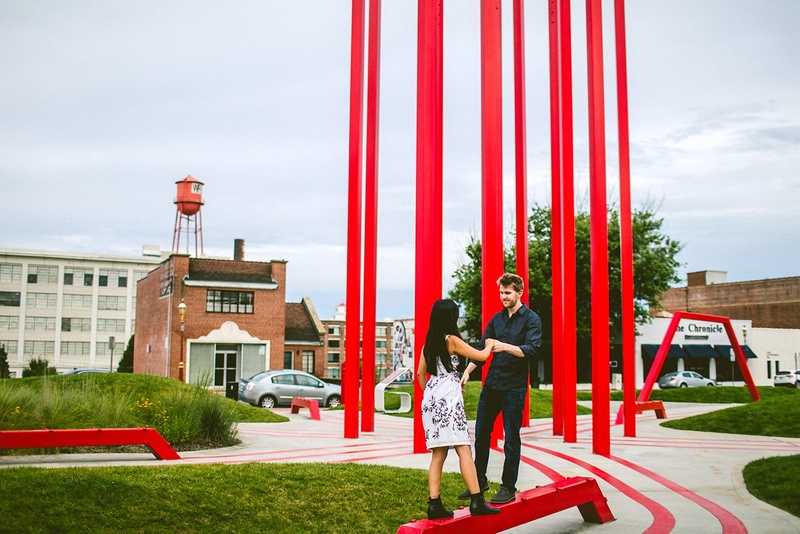 During their engagement session they showed us the joys of Overcooked, and then took us around Winston-Salem where there are so many good murals omggg the muralllsssss. 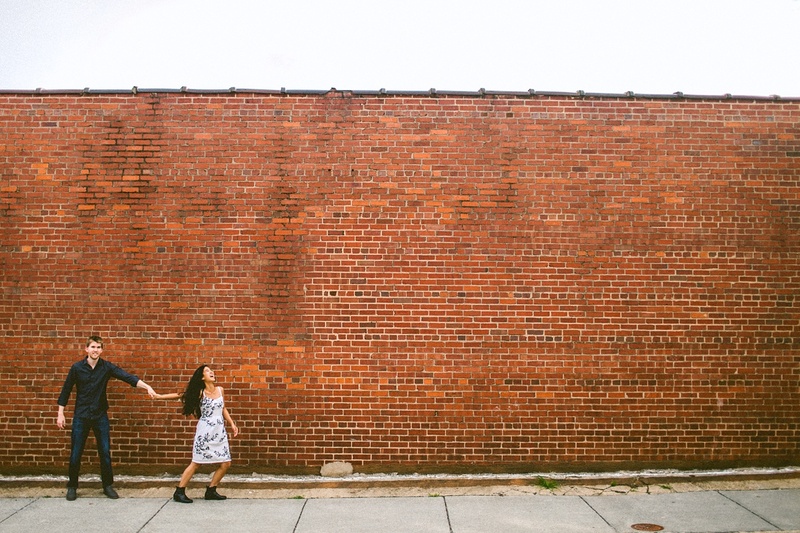 Team CSP is a big #1 fan of wall murals, and Winston-Salem seems to be the capital of them, and I was so distracted and overjoyed that it was surprising to all of us that I got anything actually accomplished during this session. 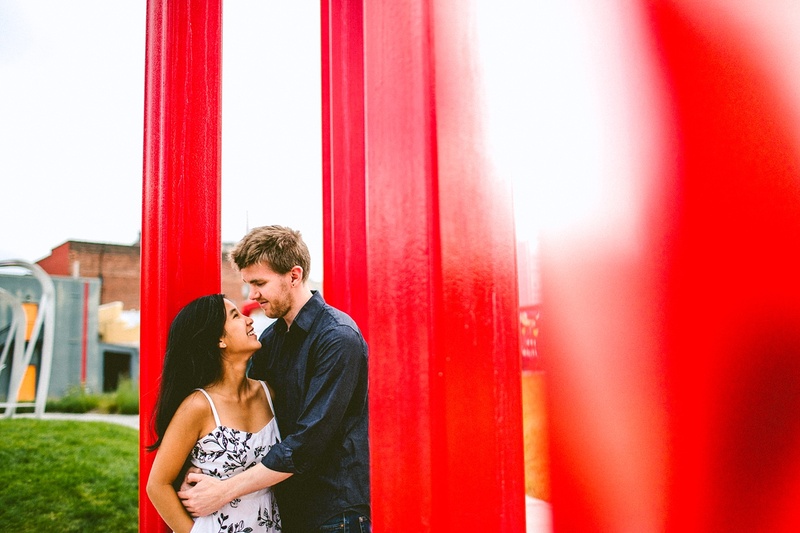 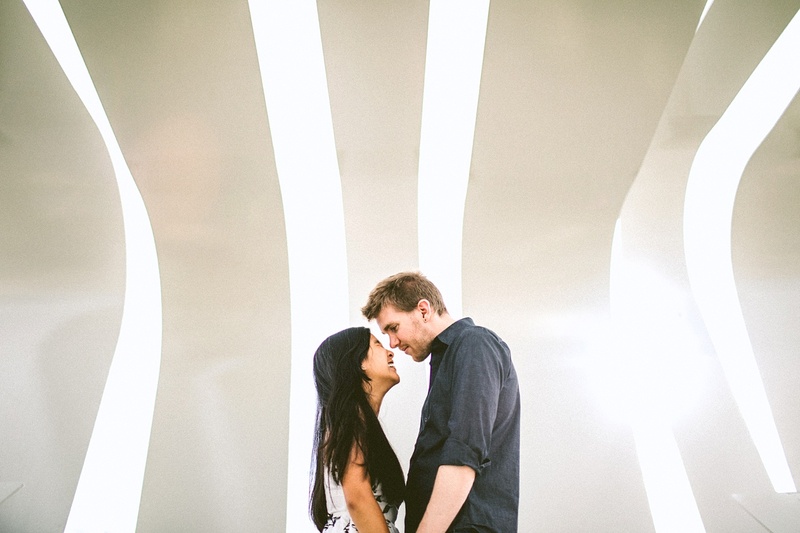 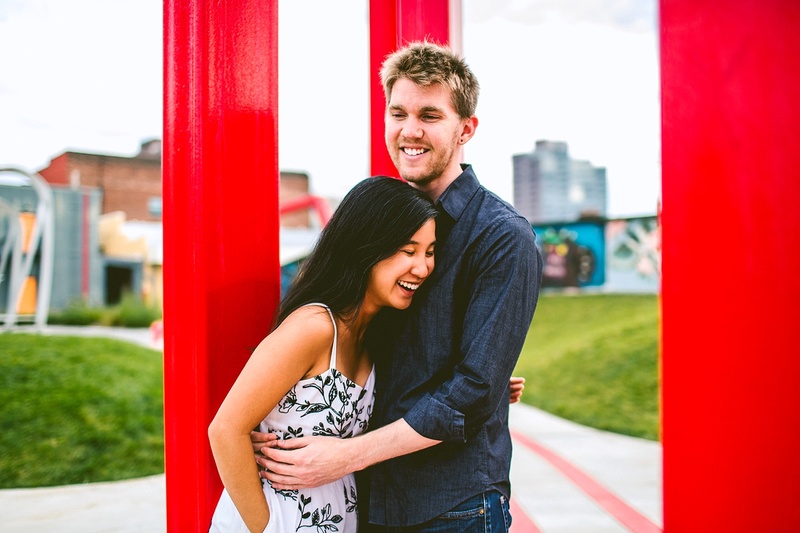 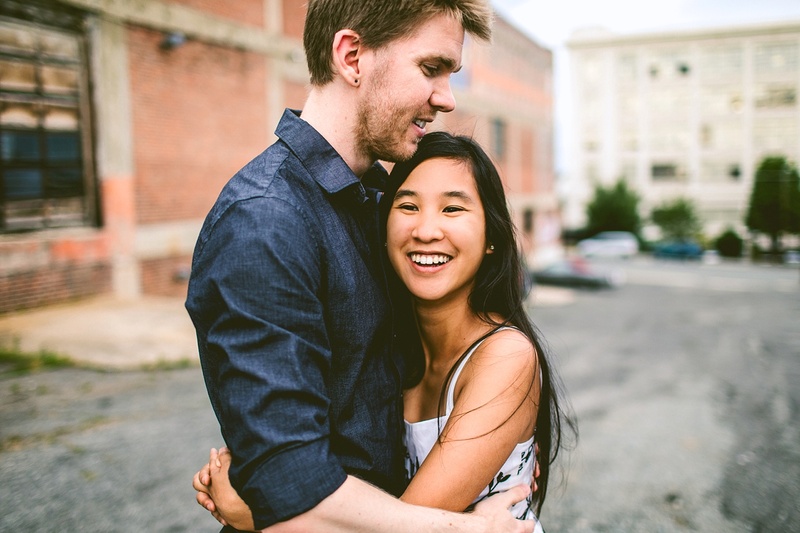 We look forward to photographing their wedding in the spring… and if one of their wedding guests is reading this, maybe a good wedding gift would be the gift of bubble tea.